An FCW source says Cerner and the VA have agreed on a rough price of $10 billion for implementing Cerner, with the contract still on track to be signed sometime this month. The price is lower than previously suggested. VA Secretary David Shulkin is reportedly lining up Congressional funding this week. The initial VA launch, planned for mid-2019, will take place at sites in Oregon, Washington, Idaho, and Alaska. A federal judge who previously dismissed CliniComp’s lawsuit in which the company claimed it was unfairly eliminated from consideration to replace VistA claims in newly unsealed documents that CliniComp would not have been a credible bidder because it lacks experience with projects of the VA’s scope. CliniComp says it will appeal while seeking an injunction to stop the project. The judged also noted that she sees no evidence to support the VA’s no-bid choice of Cerner. Other bidders can protest once the Cerner-VA contract is signed. On Tuesday, Nordic initiated its 2018 growth plan, which includes the further expansion of our Managed Services division, a formal move into non-Epic legacy support, a further investment in our revenue cycle and data and analytics capabilities, and the launch of an ERP practice. As part of this plan, we took the difficult step of restructuring our home office. This included the displacement or redeployment of 17 employees. We recently posted 20 new positions and plan to add up to 150 new employees over the next nine months. People who don’t have a LinkedIn profile, which is inexcusable. LinkedIn profiles that don’t include a photo, which is bizarre for someone who works in a people-facing role (you must be a crappy salesperson if your LinkedIn doesn’t include a photo so people can find acknowledge that it’s you). Poorly resized LinkedIn photos that are low-resolution or too small, making the pixelated mess unusable even at a small size. LinkedIn shrinks to thumbnails, so there’s no need to downsize the original to their displayed image size. Trying to repurpose a vacation photo or family picture in which the grainy subject is surrounded by the shoulders of cropped-out others; is so far from the camera as to be unrecognizable; is wearing a tuxedo, Santa suit, or a bike helmet; or is proudly displaying something alcoholic. I’ve noticed that Twitterers who were dull, clueless, or eye-rollingly self-promoting in their allotted 140 characters are now four times more so with the limit doubled to 280. This week on HIStalk Practice: Georgia Partnership for Telehealth achieves school-based milestone. Family Christian Health Center selects Visualutions billing software. State-based physician health programs help addicted doctors recover – successfully. Consumers still prefer phone-based appointment scheduling. The Federation of State Medical Boards tests blockchain for the medical licensure process. 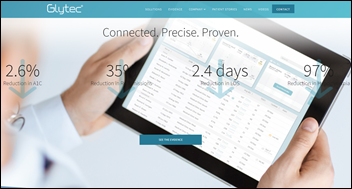 Alpine Investors takes over behavioral health EHR vendor. Physician pirate Jay Saux, MD brings healing and whimsy to cancer care. Navicure’s Kermit Randa offers practical steps for practices looking to offer digital payment options. Listening: new from Chicago throwback indie band Twin Peaks. Then it was off to very Canadian jangle rockers Alvvays with the amazing singer-songwriter Molly Rankin (who kind of looks like Veronica Mars), the best thing I’ve heard lately, with extra points for the bass player rocking a Hofner violin end everybody seeming to be delightfully nerdy. I can’t take my eyes or ears off them. “Archie, Marry Me” is one of the best pop songs ever and their live version is flawless (warning: I couldn’t get it out of my head and have listened to it 25 times today). 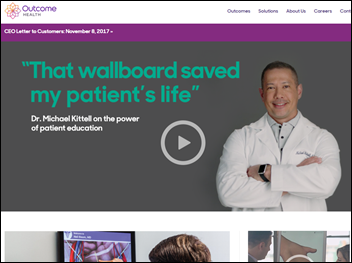 Investors that include heavyweights like Goldman Sachs and Google sue waiting room advertising company Outcome Health, claiming that the company committed fraud in obtaining $500 million in funding by providing false information. The lawsuit was driven by a Wall Street Journal investigation from last month that concluded that the company was inflating the number of video screens it had installed in practices, allowing it to overcharge drug companies, its primary advertisers. Outcome Health calls the lawsuit “irresponsible” and a “money grab,” which is an interesting approach to investor relations. Goshen Health (IN) chooses CloudWave’s OpSus Live infrastructure-as-a-service to host its Meditech 6.16 system. The board of Ector County Hospital (TX) approves implementation of IllumiCare’s EHR-agnostic Smart Ribbon to encourage the appropriate use of tests and drugs. WellStar Health System (GA) chooses Agfa HealthCare Enterprise Imaging. A small study finds that hospitals that use Glytec’s Hospital-to-Home discharge insulin program for poorly-controlled diabetics had zero diabetes-related readmissions or urgent care/ED visits within the first 30 days after discharge. 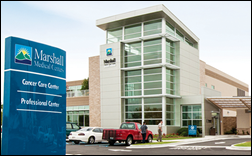 Marshall Medical Center (CA) goes live on Epic via a Community Connect agreement with UC Davis Health. The local paper’s article notes that all area health systems use Epic other than Cerner customer Dignity Health. Humana sponsors an innovation challenge to make the digital health records of Medicare recipients more useful to those patients, their caregivers, and their doctors. California-based individuals and early-stage startups will assemble Humana-provided complex data sets (claims data, hospital records, and health program participation information) into a solution that targets either providers or patients in improving quality or reducing cost. The winner gets $10,000. A West survey finds that more than half of Americans delay paying their medical bills, with the top reason being high insurance deductibles. Other reasons include forgetting to pay, confusion about what charges insurance will cover, and receiving bills for services they don’t think they should have to pay for. 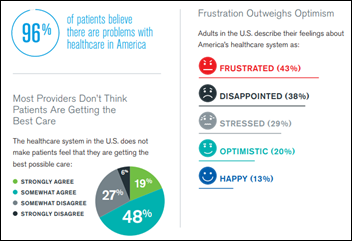 Three-quarters of respondents say high deductibles affect how often they see their provider or seek care. Less than 25 percent of providers discuss affordability in advance, send payment reminders, or provide messages explaining what portion of their bill is covered by insurance. An Anthem study finds that total joint replacement patients enrolled in HealthLoop’s guidance and monitoring platform cost $656 less and had about half the rate of 90-day surgical complications and readmissions. The federal government awards Apprio a contract to transition the DoD’s MHS Genesis system to the Defense Health Agency’s long-term sustainment office. An editorial in the St. Louis paper rips into the state’s government for refusing to confirm that its cobbled-together prescription drug monitoring program is actually running. Missouri – the only state without a PDMP – created an odd version of its own that relies on claims data to allow government officials to identify “pill mills” but without allowing prescribers to see individual patient data. The governor said in July that the program would be operational in weeks, but the state hasn’t even signed a contract to create it. 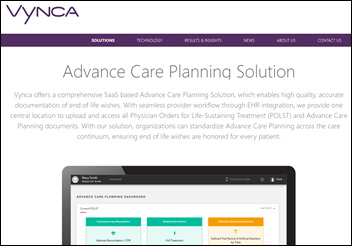 HHS announces advance care planning technology vendor Vynca as winner of its Patient Matching Algorithm Challenge, with data integration vendor Pic-Sure earning second place along with wins in the “Best Recall” and “Best Precision” categories. Criminal investigations of the VA’s previous manipulation of wait time data. Expansion of the VA’s telemedicine program to span geographic areas. Greater adoption of VA Video Connect mobile app. Rollout of the VA’s Online Scheduling Tool. The move to Cerner for both the VA and DoD. Launch of an online wait time tool. 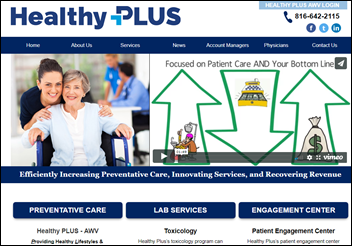 A former employee of Kansas City, MO-based Healthy Plus LLC – run by two locally prominent sports figures – says employees went weeks without pay as the company issued bad checks and closed its accounts. One of those executives previously ran VC Medical, which is the subject of a lawsuit over an unpaid loan. The company is a pilot member of Athenahealth’s More Disruption Please program, offering solutions for chronic care management and Medicare Annual Wellness Visit reminders. A Healthy Plus press release says the business was launched in April 2017. 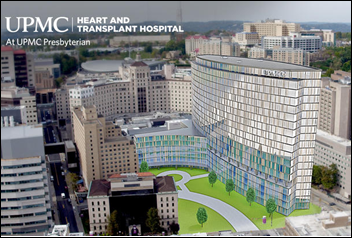 Non-profit hospitals spend big money to erect impressive buildings that entrench their market position, often using tax-exempt debt for buildings on which no property tax is paid. The kind of new treatments UPMC aims to discover are revenue-maximizing. UPMC is investing in inpatient bricks and mortar instead of what the market is demanding: community-based care, primary care, and home care. Pittsburgh residents and federal taxpayers will foot the bill in the form of higher premiums for private insurance, Medicare, and Medicaid. Moving patients into a specialty-specific hospital ignores their other conditions and impedes care coordination. 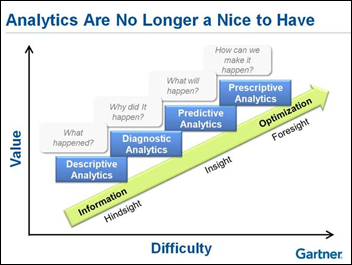 This is a great graphic from Gartner that shows the level of analytic maturity. 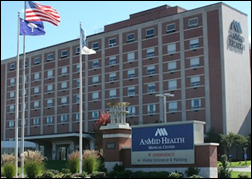 AnMed Health (SC) lays off 94 employees and eliminates 65 open positions, citing losses due to lower payments, reduced volumes, and the cost of its $85 million Epic implementation. Here’s rare video snippet of Epic’s Judy Faulkner speaking, this time at a Geisinger symposium. The moderator didn’t ask great questions or press her for deeper answers, eliciting basically that she likes AI and telehealth. Hopefully the conversation was better than this excerpt. MModal supports the migration of FHN (IL) to Meditech’s Web EHR with its Fluency Direct speech recognition solution. 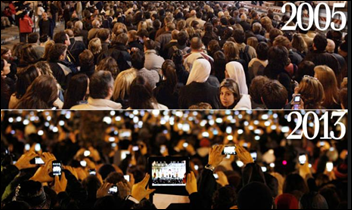 MedData’s Pulse intranet wins the EHealthcare Internet Award for Best Intranet. Meditech will present at the Value-Based Care Summit November 16-17 in Boston. The Metro Atlanta Chamber of Commerce honors Navicure with its Phoenix Award for Emerging Company of the Year. Nordic’s 800 employees and 200 customers are poised for significant growth in 2018. Consulting Magazine names Impact Advisors to its list of fastest-growing firms. 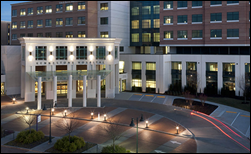 Clinical Computer Systems, developer of the Obix Perinatal Data System, will exhibit at the Northwest AHEC conference November 14-15 in Hickory, NC. Experian Health will exhibit at HFMA Southern IL November 16-17 in O’Fallon. Vocera earns Authority to Operate from the DoD. The Tech Tribune includes PatientSafe Solutions in its top 10 list of best tech startups in San Diego. RE Nordic layoffs. Not surprised for them and anyone else that has been on the Epic gravy train for the last 15+ years. A suggestion. 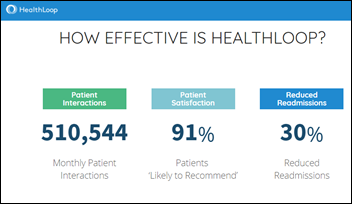 Retool your people to be able to implement Cerner. Between VA, DOD, and other (not as) large implementations that Cerner is completely botching, this could be gravy train, track two. Re: Cerner VA deal — I see no reference to Leidos in the VA contract — Is this a direct Cerner deal? In their recent earnings calls, Cerner said they intend to be primary on the project, while Leidos said it hopes to have a significant role after Cerner signs the contract and starts assembling its package of subcontractors.